counter culture hosts multi-day educational seminars across the country for professionals in the cheese and specialty food industries. From science, to culture, to language to marketing to economics—cheese and charcuterie are endlessly complex, but educational opportunities for mongers are frustratingly limited. Partnering with a diverse roster of makers and industry leaders, we provide an accessible, evolving curriculum that connects attendees directly with experts, tastings, professional resources, community growth and other vital development opportunities. During two full days, counter culture hosts classes on cheese and charcuterie science, history and pairing, while cheesemakers from around the world present what they do. If you’re coming to counter culture, get hungry. 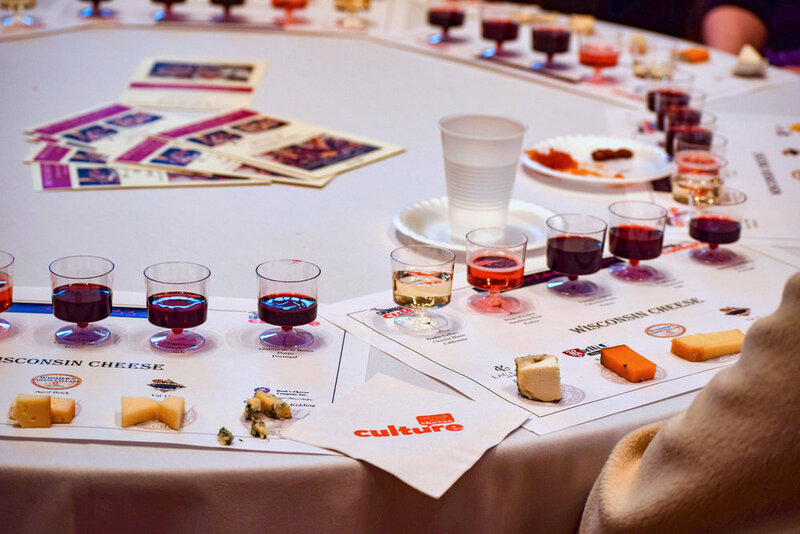 With up to twelve presenters guiding tastings of cheese and charcuterie —well, that’s a lot of food. In-between presentations, be sure to save room for what’s on our Tasting Table; all day, it’s completely stocked full of samples and snacks from a range of companies. 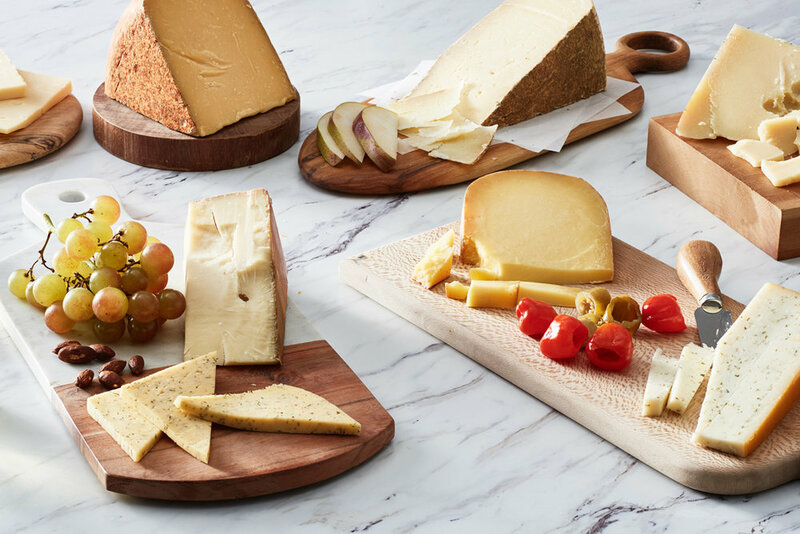 From nut butters to pickles to crackers and preserves, it’s the place to sniff out new products for your shop, experiment with cheese pairings, or just snack for the sake of it. Bonus: we also feed you lunch with an educational twist. Cheese people are the best people. At the very least, counter culture is an opportunity to get all of these people under one roof. In addition to classroom time, we host happy hours and a separate Pizza Party event after the first day where you can mingle with our group of presenters while munching on pizza made by the experts at Forza Forni. Most importantly, you’ll get to know other mongers and cheese professionals from your city and region, forming networks you can build on in the future. We also keep in touch with you with monthly newsletters and offering access to a growing online resource full of learning materials and additional opportunities. The Dairy Farmers of Wisconsin (formerly Wisconsin Milk Marketing Board or WMMB) is a non-profit organization funded entirely by Wisconsin's dairy farm families. Our goal is to increase the sale and consumption of Wisconsin milk and dairy products. 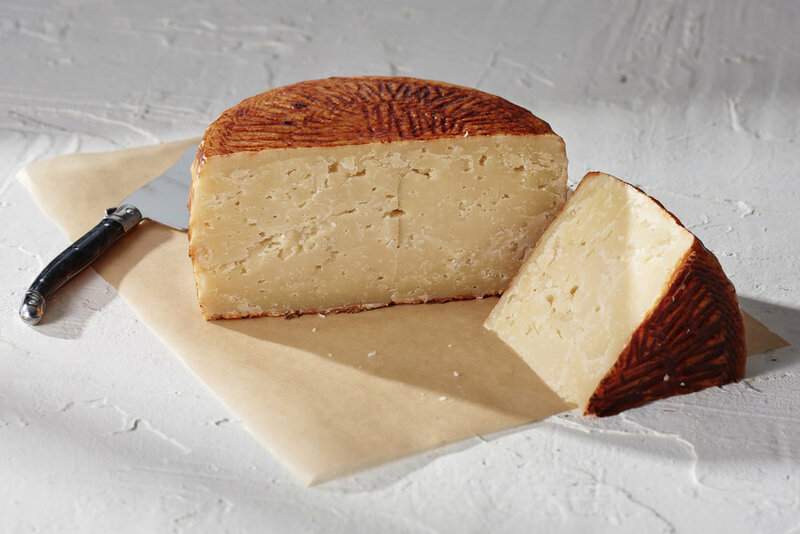 Since the mid-1800s, before Wisconsin was recognized as a state, the resident cheesemakers have been putting the art into artisan cheese – producing 48% of all specialty cheese made in the USA. Wisconsin is home to 1,200 licensed cheesemakers who draw from their rich European heritage and cheesemaking traditions, and combine it with incredible innovation to produce over 600 cheese varieties, types and styles. Wisconsin is the nation’s leader in the production of unique specialty and artisan cheeses including international award-winners, known as Wisconsin originals. Wisconsin was the first state to establish cheese grade standards, and the first to require that every cheese plant be overseen by a licensed cheesemaker. It is also the only place outside Europe where one can pursue an elite Master Cheesemaker certification. For more information, visit the website at WisconsinCheese.com or take the Cheesecyclopedia® training course where you'll learn the fine points of dairy and cheese products.